It’s almost time to stow your skis and hit the road for an awesome spring break experience! If you’re looking for something epic enough to fill your social feeds for weeks to come, check out our top picks for best adventure destinations for everyone from serious thrill seekers to family-friendly road warriors. We’ve got a few ideas to help you live a more awesome life, and we invite you to chart your own course and live BIG! For the true outdoors adventurer, it’s all about elevation. Whether you’re looking to dive deep or climb high, these spring break destinations aren’t for the faint of heart. Notable Hazards: Monsoons in the late spring and summer. 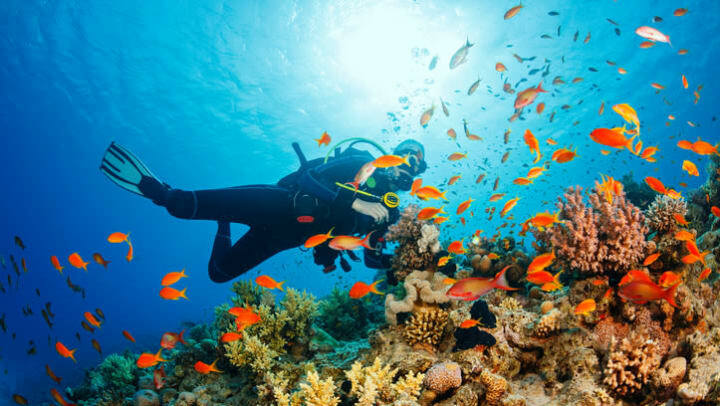 Notable Hazards: All standard safety precautions are essential while diving here, and perhaps the greatest hazard is actually to the reef itself. Visit The Nature Conservancy to learn more about protecting our world’s natural reefs. The family that adventures together stays together, so take advantage of these great family-friendly spring break destinations for an unforgettable vacation for all ages! Just about anything from Back to Cali gift shop. Seashells are this little island’s claim to fame, so feel free to comb the beaches for seafaring treasures! As life-living go-getters ourselves, we know traveling isn’t always easy or affordable. A lot of times we assume that driving is the least expensive way to get from A to B, but with gas prices typically rising during the warmer months and the hidden/unforeseen costs of adding miles to your vehicle, using up valuable vacation time on the road may not be the most cost effective option for your trip. If you’re really flexible on the dates, and even your destination, you could end up with a way better vacation for a way better price than you ever thought possible. It just takes a little research to find the best deals. But remember: the more times you check the price on a particular site, the more likely that price is to go up. So don’t wait too long to book your epic spring break experience! We’re always looking for new ways to help you live the journey to its fullest, so check back often for more tips and tricks from your friends at StorQuest!